It is with great sadness that the family of the Late Mary Hartson announce her passing at the Western Health Long Term Care Centre in Corner Brook, NL on Monday, January 14, 2019 at the age of 85 years. She was predeceased by her late husband, Adolphus Hartson, and predeceased by her parents: John and Winnifred Pinksen, brothers: Norman, Ron, Eric and sister Marjorie. 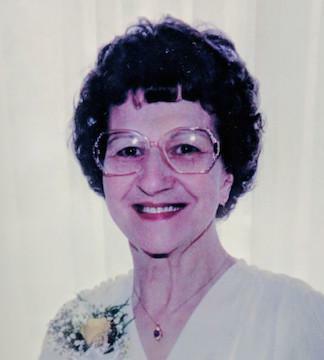 She will be forever missed, loved and remembered by her children: Val (Linda), Wally, Dianne (John), Ollie (John), Lionel (Claude), Wayne, Bernice, Brian; grandchildren: Janice, Stephen, Jeremy, Janna, Scott, Stuart, Angela, Suzanne, Catherine, Meghan, and John, and 10 great-grandchildren. Visitation for family and friends will take place at Country Haven Funeral Home, 167 Country Road, Corner Brook, NL on Wednesday, January 16, 2019 from the hours of 7-9 pm. The funeral service will take place on Thursday, January 17, 2019 at 10 am at the Most Holy Redeemer Cathedral on Mount Bernard Avenue in Corner Brook with Father Edward Terry officiating. Interment to follow at Mount Patricia Cemetery. As expressions of sympathy, in lieu of flowers, memorial donations can be made to the Canadian Alzheimer’s Society. To sign the family guestbook, please visit our website at www.country-haven.ca.